This smaller vessel is a remake on a very old favourite Vase design of mine. Hand cut around a Tatting doily my great Aunt made to create the wrap style. 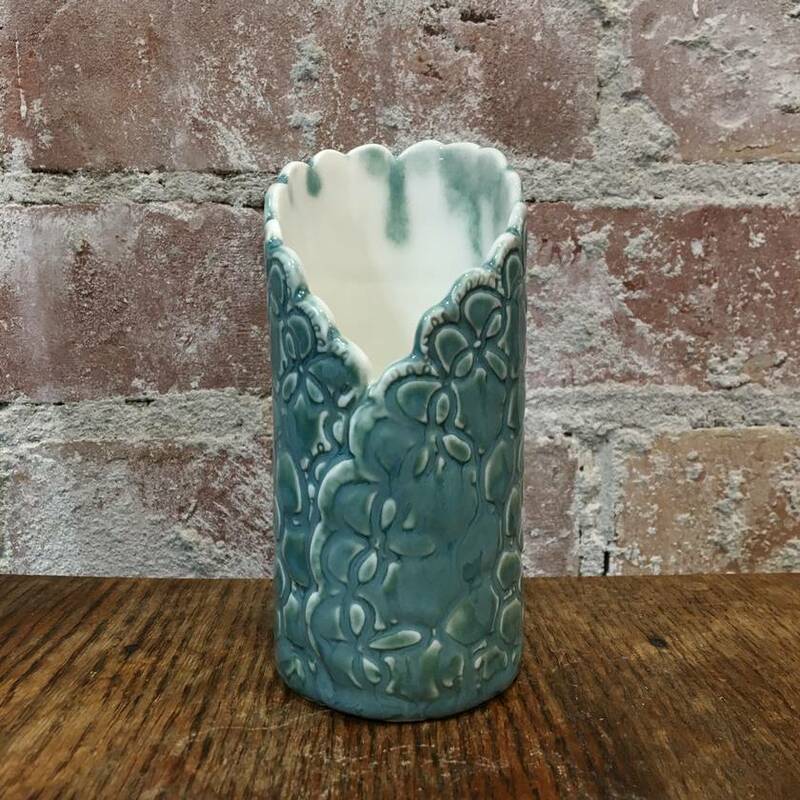 The exterior of the vase features a beautiful Jade rutile glaze with depth that breaks over the tatting that was used to press into the wet clay. The inside has a waterproof clear glaze liner and the base reveals a highlighted tatting impression. 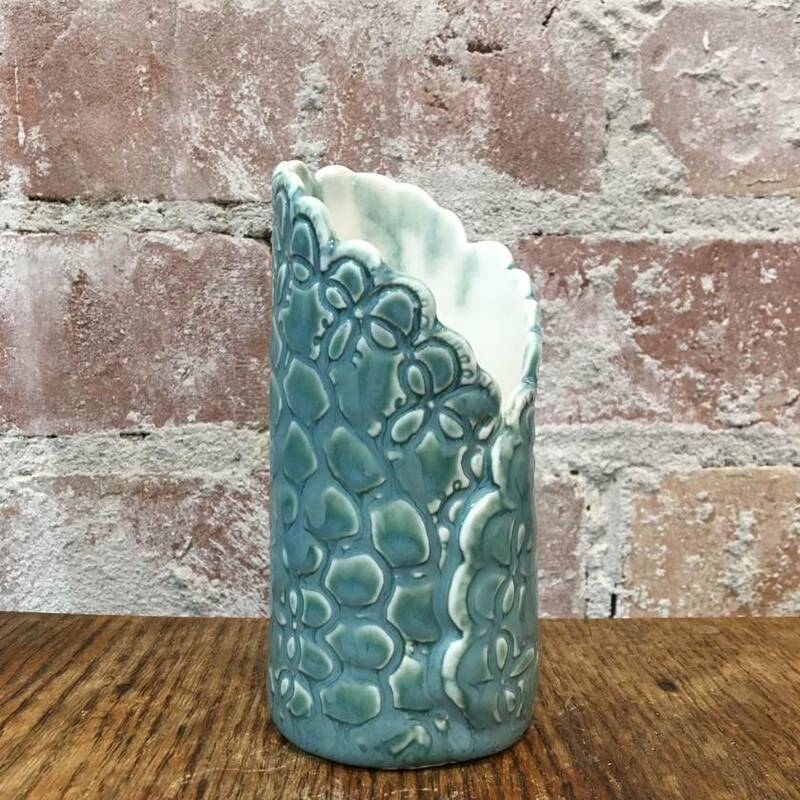 Measuring approximately 13 cm tall x 6 cm across, this is the exact ceramic vase you will receive. 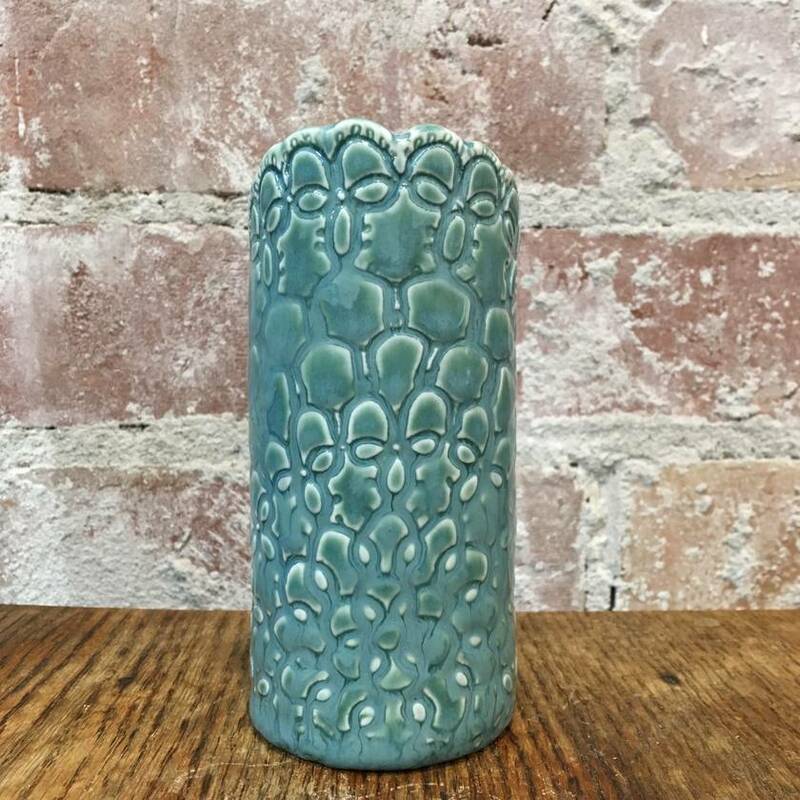 This textured vase will be a treasured gift or lovely item for your home. The Vase will be well wrapped with tissue & ribbon. 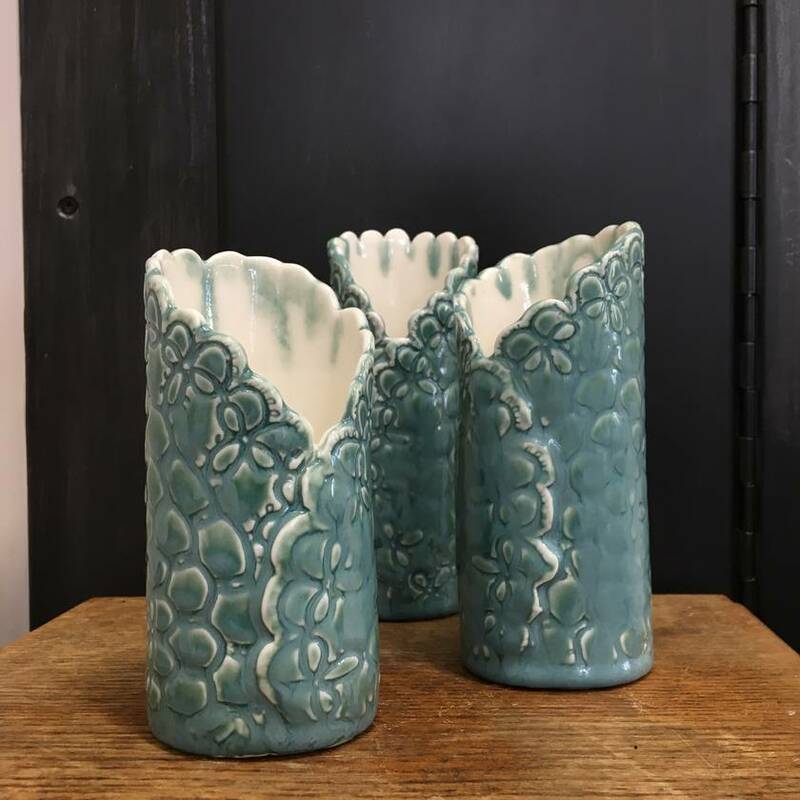 It is made from New Zealand porcelain clay and is dishwasher safe. If collecting this will be by appointment from my studio space at: The Exchange, Christchurch.